21 turn speed gem motor, Losi ESC (good for 12t, most annoying ESC on the planet) Stock servo, FM radio, running my old racing stick pack. Was bashing around the yard flying off hills and ditches pulling wheelies. Than I rolled it on pavement, held the throttle down hoping for an impressive wheelie when it bounced back on the wheels, instead all I got was a "pop". oops. Broke 2 teeth off the spur/counter gear. Now I'm looking for a replacement counter gear. it's a 32 pitch 50/18 tooth. Tamiya has some close ones, but not exact. It's a cross between the hornet/lunch box gear box and clod buster. Re: Well it was fun while it lasted. I guess if it were me i would buy some hornet/lunchbox and or clod gear sets for dirt off ebay and have spares. That or buy a cheap nikko on the same chassis. There is a guy on ebay trying to sell a trailblazer for parts and he is asking 39obo on the chassis with axle. Kinda high but you never know what he might take for it. yeah $39 is high for just a chassis. 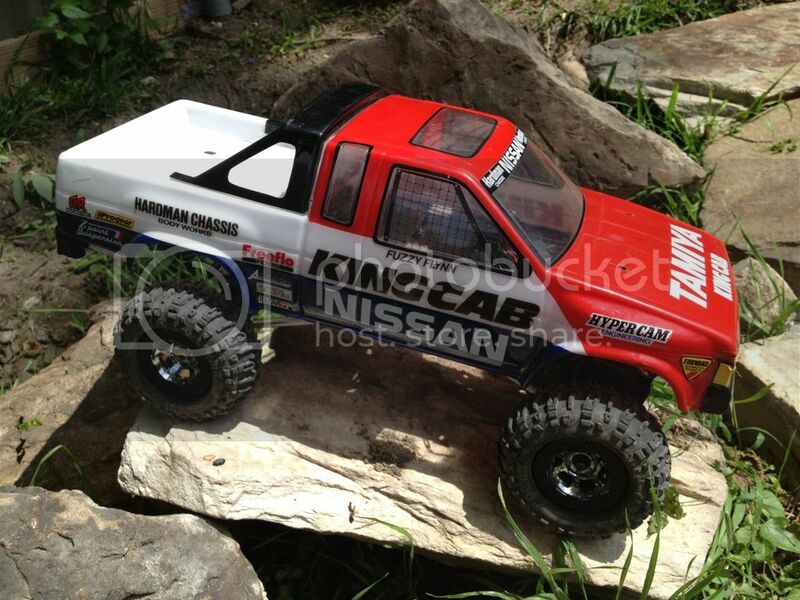 I think I paid $30 for my entire RTR Rock Runner. I haven't found 18/50 tooth 32p counter gear yet. If I can find a Tamiya match, there is probably some body that makes a metal replacement. would something like this work for it? I don't think the buggy gear box uses the same counter gear as the thor. But, that truck is sweet and I'd pay $20 for that in a heart beat. I have yet to have that chassis/tire combo with the truck body.